Although mental images of rich debutantes and foreign duchesses will probably be the first to come to mind at the mention of Tiara, this Merkur casino slot has little to do with the glamorous world of the infamous other half. At least in terms of the thematic approach and the icons. So, if you expected to see a lot of status symbols scattered across the reels, think again. A plain, old, traditional fruit machine is all that you will get. But, for many players, this is actually good news, especially since retro is back in style and a plenty of conventional fruit machines are being revisited for inspiration. Slot aficionados will have at least a couple of classic fruit-themed games up their sleeves and every so often, when the 3D animated and upgraded slots become too overwhelming, conventional and basic variants can easily be found hidden behind the glitz and glamour of new age. Not to mention, the 97.81% RTP. Looking at it from this perspective, Tiara is one of the rare true representatives of Liberty Bell and its offspring, reducing the game to the bare minimum and the familiar fruit symbols – Plum, Cherries, Orange, Lemon, Grapes, Watermelon, 7, and one symbol to rule them all – the Crown Wild (Tiara), justifying the name of the game. Traditionalists and all those who do not mind the simplicity of such basic slots – and, mind you, there are plenty of players who prefer linear games, without any distractions such as picking games, meters or collectible items. 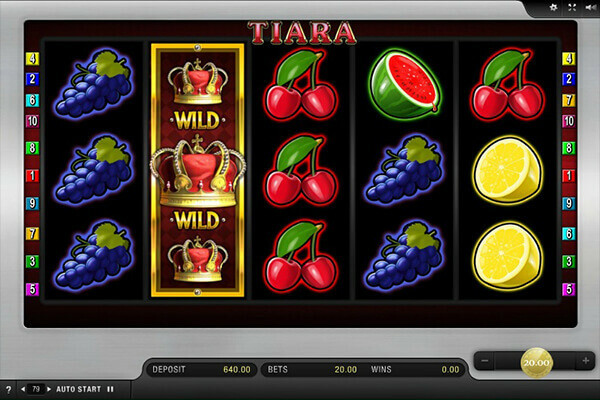 Tiara is a simple matter of “win and cash out” or increasing the win by using the slot’s dual gamble feature. Well, 97.81% RTP. If that’s not enough, it also offers an uncomplicated and smooth gameplay which will be particularity appealing to everyone who enjoys a bit of extra risk. Similar to the popular Katana, Dear or Alive slots , Tiara offers a nice combination of high volatility with above average RTP. The perfect combo, so to speak. You can also enjoy a special gamble feature. 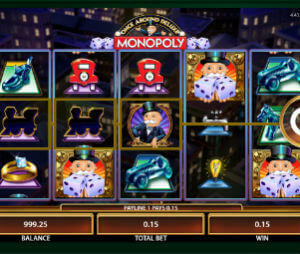 After a winning combination is formed on the reels, the players will be offered to either collect the cash or gamble it. Unlike most of the slots, Tiara slot has two gambling options, a Ladder, and a Card variant, which one can select according to personal preferences. In the more conventional, Card Gamble option, the color of the next card should be accurately predicted, while in the Ladder game, the players can either climb up or down, depending on their luck. Another alternative is to click on the “Collect half” button and save a portion of the winning. When the Wild Crown icons land on the reels, it will expand and cover the entire landing reel. The same symbol will also trigger Free Spins and continue moving across the reels, turning them into Wilds. The main issue with Tiara slot machine is the high volatility and the spinning intervals without hitting any valid combination can be extremely long. This is known to provoke a lot of frustration for anyone who has to be mindful of the budget and some mental preparations are in order if you are getting ready to start your first Tiara session. Whether or not you will like Tiara is more a question of taste than budget, even though your finances are a significant factor which determines how long you will be able to spin the reels. Assuming you have a soft spot for traditional values (speaking strictly in terms of slot design), Tiara will meet your expectations. If, however, you are a fan of more “layered” games and contemporary designs, this slot will not keep you engaged for a very long time.